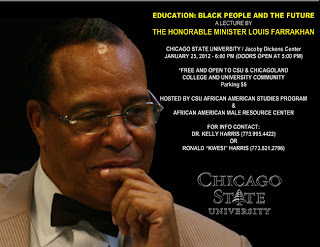 The African-American Studies Program at Chicago State University (CSU) sponsored a lecture by Louis Farrakhan, the anti-Semitic leader of the Nation of Islam (NOI), at the University’s Jacoby Dickens Center on January 25. According to the NOI, Farrakhan’s son-in-law and longtime aide Leonard Muhammad “worked closely” with CSU faculty and staff to make Farrakhan’s address on education in the African-American community happen. In an interview last fall, Farrakhan described a growing willingness among university administrators to invite him to their campuses despite the nefarious influence of “forces that have seen me as anti-Semitic or anti-White or racist or however they wish to describe me.” In 2011, Farrakhan spoke at Howard University, Jackson State University and Prairie View A&M University—though unlike the CSU event, none of those appearances were sponsored by academic departments. 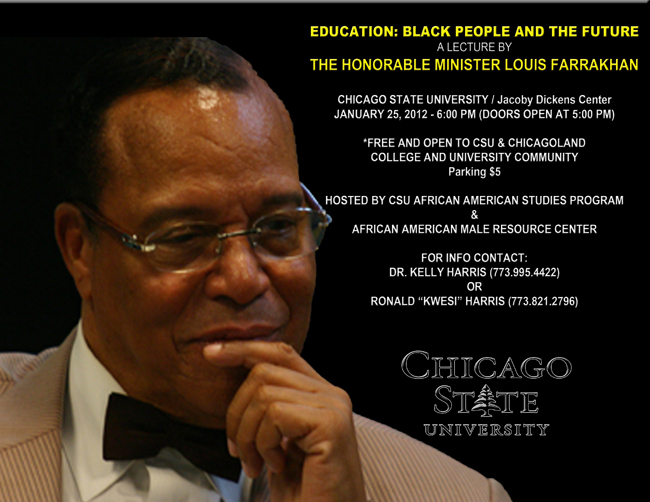 Farrakhan’s address at CSU comes within weeks of the NOI’s annual Saviours’ Day convention, which is taking place in Rosemont and Chicago, Illinois, from February 24-26, 2012.